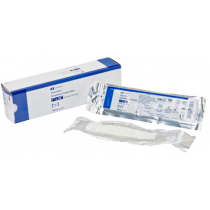 Non-adherent dressings are ideal for open wounds that have light to moderate exudate. 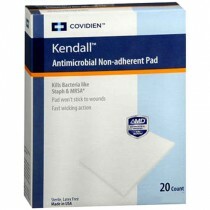 The non-adherent properties keep the fabric from sticking to the wound, even as the wound heals. This will give piece of mind to the patient, because there will be little to no pain during removal. 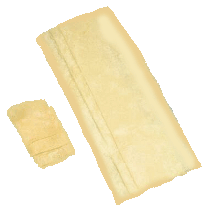 Because of its gentle nature, this gauze will not disrupt any healing that takes place, nor will it leave any residue. 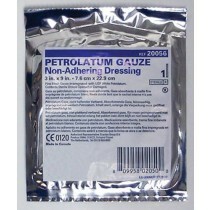 Non-adherent gauze often needs a secondary dressing for absorption as well as a bandage to keep it on the wound. 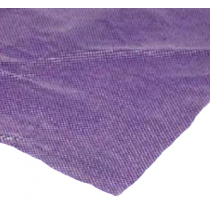 Many types of non-adherent gauze are treated with products that increase healing times by maintaining a moist environment or with an antiseptic to kill micro-organisms that interfere or cause infection. 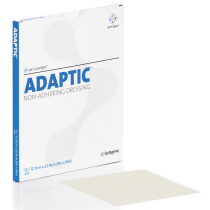 Further information below describes the different types and predominant properties of non-adherent dressing. 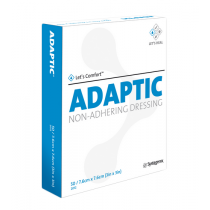 Non-Adherent Dressing Guide Information Choosing the right non-adherent dressing is typically based on wound type and doctor recommendation. 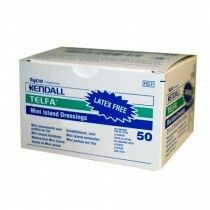 It is always best to consult with your nurse or doctor to see what dressing is best. 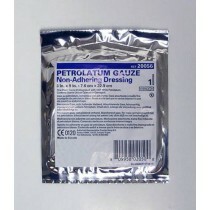 For chronic wounds, it may be necessary for a sterile, moist gauze, sometimes impregnated with petrolatum to keep a wet environment. For open non-dry wounds it is best to maintain a balance of aeration and a healthy moist wound bed for an optimal healing environment. 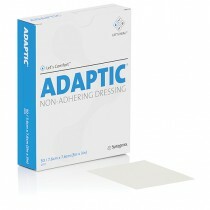 Adaptic Non-Adherent Dressing Gauze: Made of cellulose acetate and coated with petrolatum to make it non-adhering and moist. 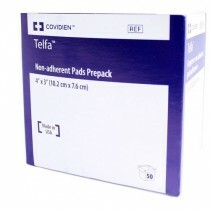 Telfa AMD Non-Adherent Dressing: Includes a non-adherent sponge gauze impregnated with PHMB (Polyhexamethylene Biguanide) for wounds prone to infection -- also can be used as a primary dressing. 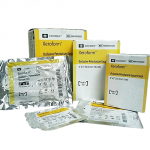 Xeroform Petrolatum Gauze: Another petrolatum-based non-adherent dressing that is mixed with 3 percent Bismuth Tribromophenate, which acts as a deodorant. 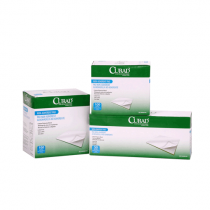 Curad Non-Adherent Pad: A dry, sterile, non-adherent pad that is used for the most variety of wound care applications. 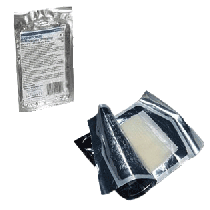 With a wound dressing gauze selected, refer to the specific instructions given on the dressing packaging. It is important that you maintain a sterile environment and that gloves, cotton applicators, and whatever implements are used are also sterile or have been sterilized. Know how best to clean a wound and dry it, as instructed by a nurse or wound care specialist. Before dressing the wound, have all of the supplies you need ready, including a biohazard bag, to reduce the chances of contamination. 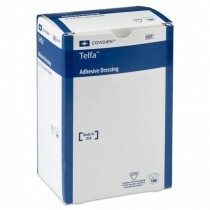 Nonadherent Dressing Bandages including petrolatum gauze, Vaseline gauze, Xeroform gauze dressing, non adhering dressing, Telfa dressing, dry dressing, Tegafoam, Kendall Telfa and Medipore Plus. 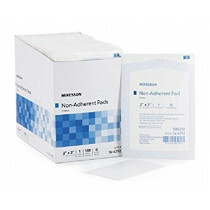 Non adherent dressings are great for draining or scabbed wounds. 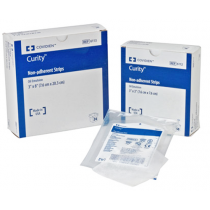 We have a variety of non adherent dressings for many types of wounds such as minor cuts, lacerations and burns. 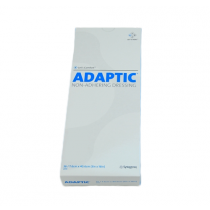 Vitality Medical carries the very popular Molnlycke Mepitel, Kendall Tefla and Johnson & Johnson Adaptic brands. 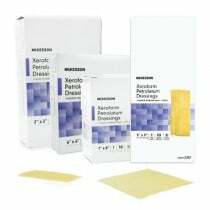 Buy discount non adherent dressings for wound care online today and save!